Many animal species have evolved signalling traits to mediate various intra-specific interactions. Signals are particularly important for inter-sexual selection, where females use male signalling traits to select mates. Female preferences are therefore a major selective force in the evolution of these male signals, and these preferences can facilitate rapid changes in these traits in an evolutionary timeframe. This introduction of high levels of variation in inter-sexual signals may overshadow any phylogenetic patterns present. Such shadowing effects, however, should be dependant on the characteristics of traits (e.g. morphological, physiological and behavioural). Using male advertisement calls from 72 species of anuran amphibians, we tested the levels of phylogenetic signal present for a variety of call features in relation to trait types, and for calls as whole units using phylogenetic principal components analysis. We found that most call features displayed some level of phylogenetic autocorrelation (or signal), with traits that are dependent on morphology having much stronger phylogenetic signals than those based on behaviour. In addition, when calls were analysed as whole units, closely related species were found to be similar to each other, indicating that phylogenetic patterns had not been cancelled out by selection via female preferences. We suggest that signal functions, such as indicating male quality (e.g. mediated by body size) to potential mates, may place constraints on the amount of variation that can be introduced by female preferences. 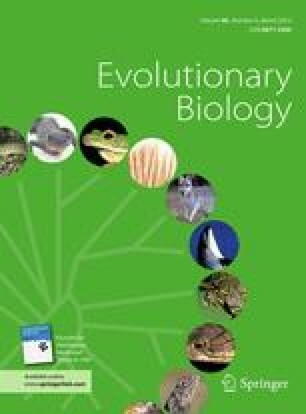 More research, particularly studies on other taxa, will be required to elucidate whether the patterns found in anurans are general across the animal kingdom. The online version of this article (doi: 10.1007/s11692-012-9197-0) contains supplementary material, which is available to authorized users. We would like to thank the Macaulay Library, and the British Library for providing the sound files used in this analysis. We also thank the SN Behavioural Ecology lab members for discussion and comments on the manuscript. Finally, we would like to thank two anonymous reviewers for their useful comments and suggestions. M.J.M. is supported by the University of Otago Postgraduate Award.